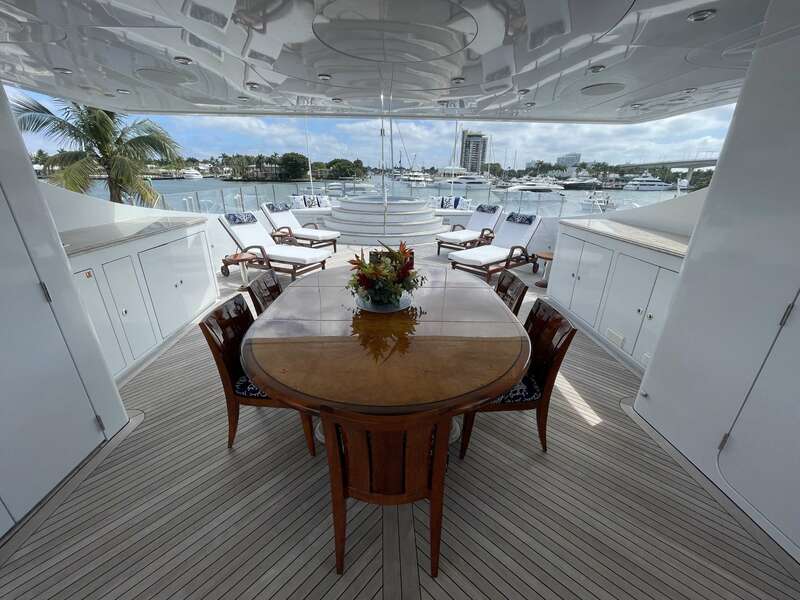 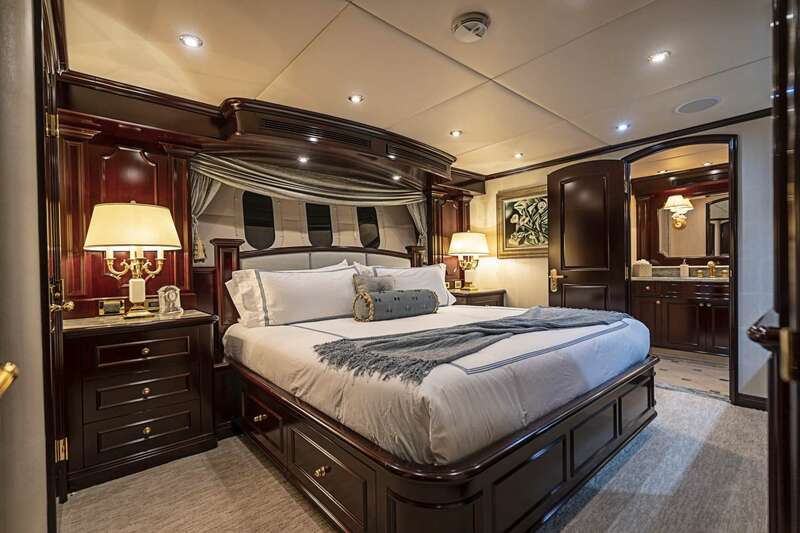 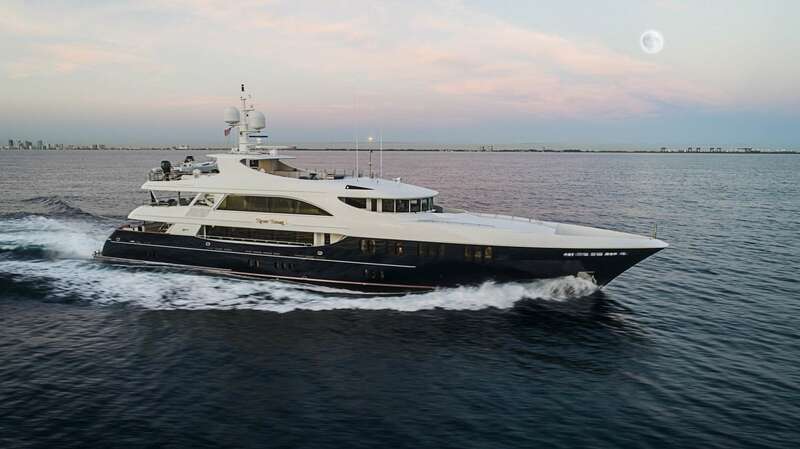 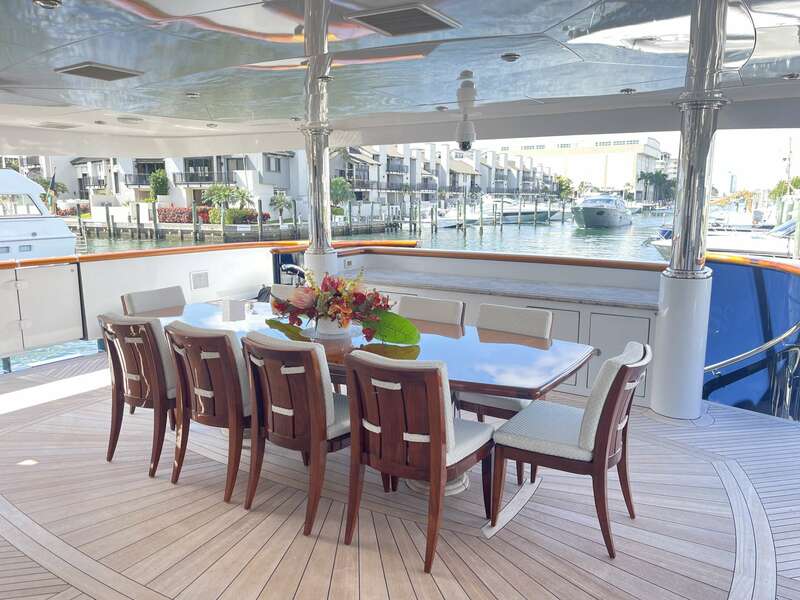 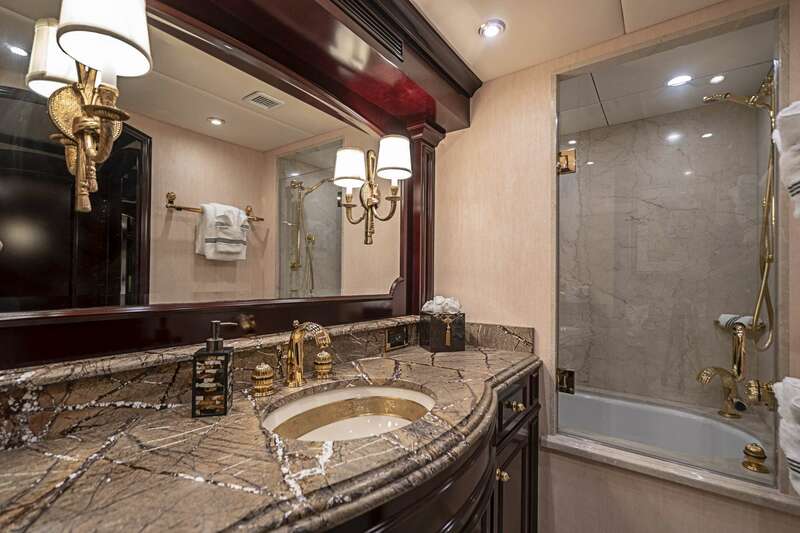 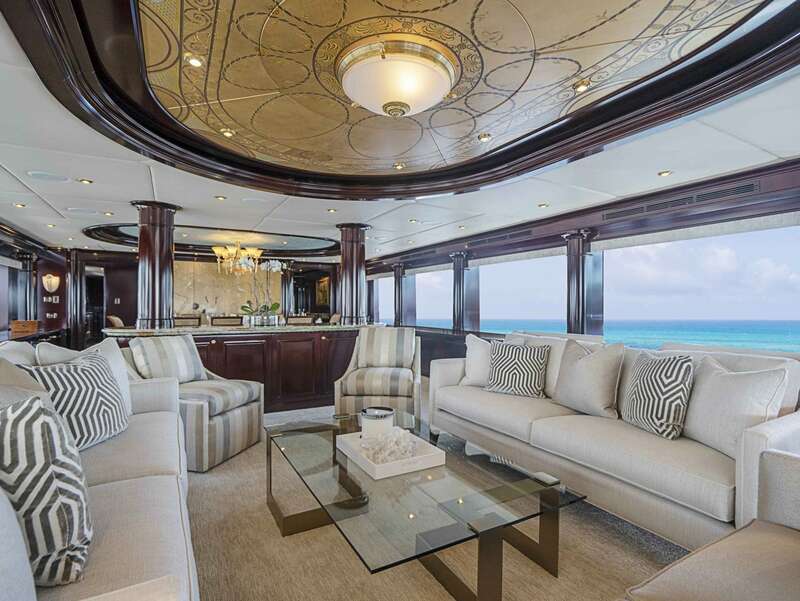 The full beam master stateroom is located forward on the main deck and is accessed through the owner's private office on the starboard side. 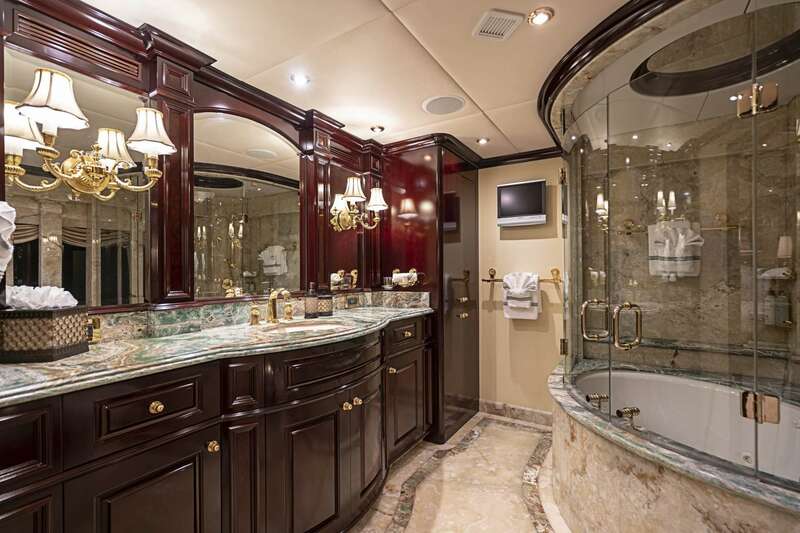 The master stateroom has a dressing table and sofa settee on the port side. 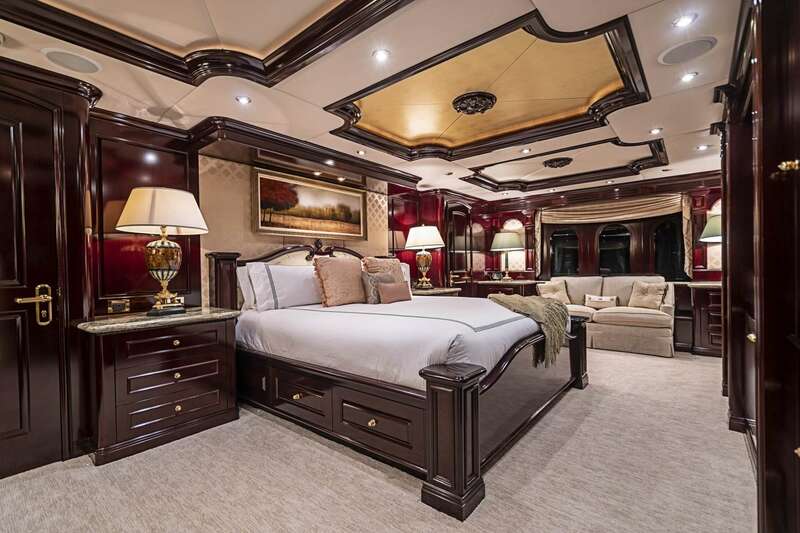 His and hers separate walk - in closets and safe is located in master complete with a mini bar refrigerator.